Ecover Non-Bio Laundry Liquid is perfect for using on yours and your babies clothes to protect sensitive skin from harsh chemicals found in other leading detergents. This bulk value pack saves you even more money and helps the planet each time you use it. Top up your smaller bottles and save money, packaging and trips to the shops with Ecover Refills. Each 5 litre box should cover approx 40 washes. 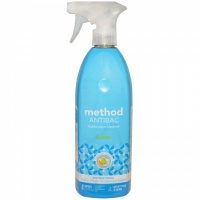 Safer for your family as there are no harsh chemical residues left in the air or on surfaces. We have no kids but we have a puppy. I am concerned about hygiene and wash his toys regularly. As he puts his toys in the mouth, it was important for me that there are no harmful ingredients in the detergent. I am happy with the product. I also like that I can choose the size. 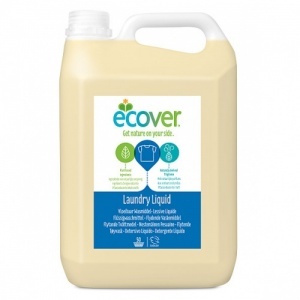 Ive bought Ecover laundry liquid for years, and usually am happy with the mild fragrance. I really dont like the new 'Lavender and Sandalwood' smells like a cheap scented toilet cleaner- and it seems quite strong- yuck!